ProLine Radiant prides itself on offering the best customer service in the business. Check out some of the testimonials below and discover why ProLine is a favorite radiant heat provider for many construction professionals. I am a landscape designer, located on the coast of New Hampshire. 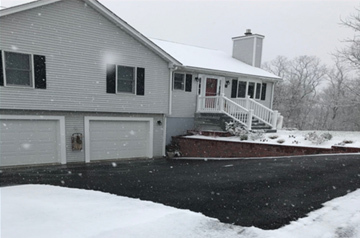 We get plenty of snow in the winter and I truly believe that heated walkways and driveways are the next big thing for our area, as in some of the more dense residential areas there is often no place to put the snow. However, before recommending radiant heat to my clients, I needed to try it and live with it myself. 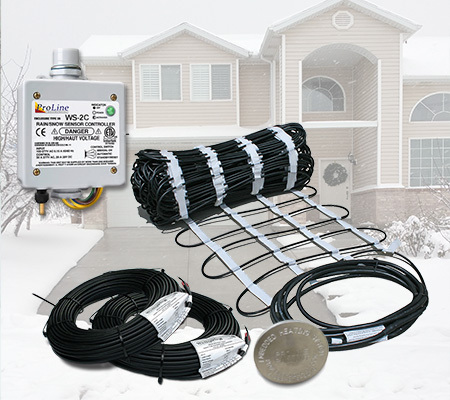 This fall, we installed ProLine heating cables in our driveway. So far we have had two storms, one mainly snow, and the other rain and ice. The driveway performed beautifully. During the snow storm, it melted the snow effortlessly. We had forgotten to put it on automatic so it was off during the first part of the storm. After realizing this, we turned the system on, but not before a couple of inches had already fallen, but it still managed to make up for lost time. 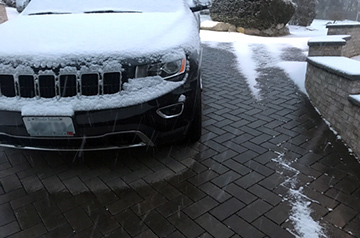 During the ice storm, the driveway was DRY while everything else was covered in a skin of ice. Great success! I'm not much of a snow lover, but I'm actually looking forward to the next storm! Although I am thus far completely sold on the product, the purpose of this letter is really to rave about ProLine's customer service and support. READ MORE BELOW . . .
“Great Customer Service! These days, good customer service is rare, and great customer service is almost nonexistent. ProLine's falls in the "great" category. For a new customer with limited experience in outdoor heating, their technical support was crucial. Having a video web chat with Jim (Tech Support) and looking at the schematic of the job before we began was one of the reasons for the project’s success. But the step-by-step instruction was only a part of the support that ProLine provided. Throughout the process they were always in touch. They seemed to anticipate our needs and fulfill them before we even knew what they were ourselves. 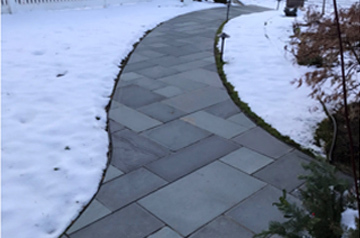 As a landscape designer, I have dealt with all sorts of people on all sorts of projects, and the service and support that we experienced from ProLine was among the best. It was a breath of fresh air, and I look forward to hopefully doing a lot of business with them in the future." View the time lapse video. "Thank you! Thanks for supplying my customer with exactly what they needed. 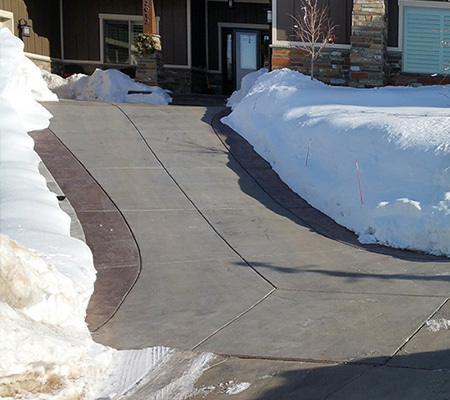 The automated concrete heating system you provided was the perfect match for my customers in Idaho. Being new to this type of installation, I expected things to be a little more complicated. A few phone calls after receiving the product within days made the job simple to install. I would have to say that customer service with your company was by far second to none. 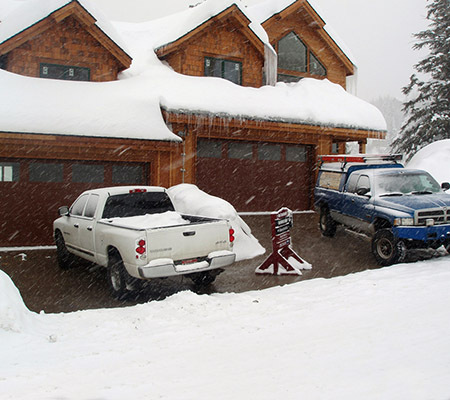 I look forward to doing business with you in the future and referring you to other homeowners with snow melting needs." 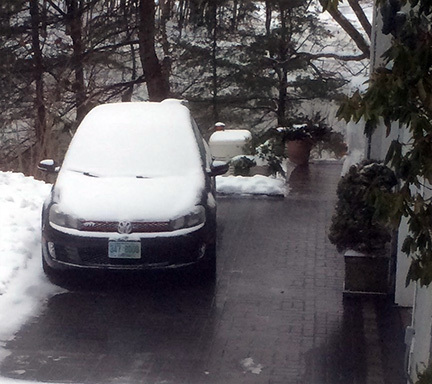 The first snow fall this winter was the test and the driveway has been ice/snow free all winter! The option to manually turn on the heat system has not been needed since the sensor works so well. My wife and I are very pleased with the results and feel much safer walking outside during the winter now! Thank you for the update and for going above and beyond to help us out. Call 866.676.9276 to learn more about ProLine's radiant heating options. ProLine includes complete system design layout, installation training, installation support and industry leading products. Our superior service is one of the principle reasons why professional workers prefer dealing with ProLine.